Storage : Keep container tightly closed. 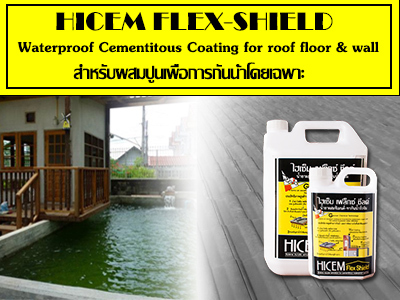 Hicem Waterproof-Sheild is one component additive emulsion modified cementitious waterproof slurry mortar. It is high performance of flexibility coating to flat concrete & mortar such as roofs and walls. On curing it forms an excellent waterproof and protective elastomeric layer over the surface & thus prevent water infiltration. 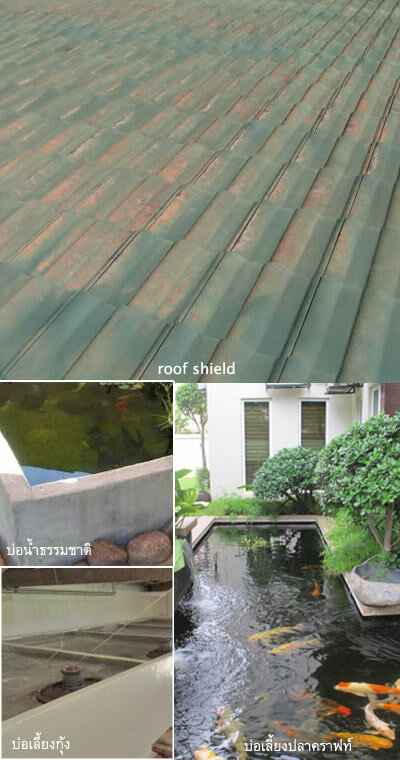 Waterproofing – waterproof for concrete structures. Water permeability – Remarkable resistance towards ingression of water. Adhesion – Excellent adhesion to concrete, natural & artificial stone. Flexibility – Provides excellent flexible coating. Temperature Resistance – high temperature resistance. Usability: Pre-batched components-slurry/trowellable consistency – mix & apply easily. Slip Resistance – Imparts slip resistance to the applied surface. Corrosion Protection – Non corrosive to steel & iron. The surface to be applied should be clean & sound, free from any kind of contamination, dirt etc. Thoroughly wire brush the surface & clean the dust by air compressor or by water jetting. Oil & grease must be removed using degreasing solvents. Any damaged surface must be repaired by using crack fillers or polymer modified repair mortar. The substrate must be properly pre-wetted to a saturated-dry condition. Transfer homogeneous milky color of HICEM Waterproof-Sheild Emulsion into a suitable clean mixing container. Gradually start addition Cement powder into HICEM Waterproof-Sheild emulsion. 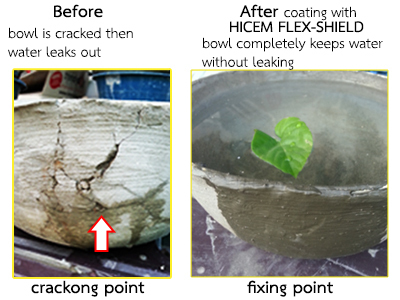 Using HICEM Waterproof-Sheild : Portland Cement at the mixing ratio of 1 by 1. Stirring until it becomes a uniform free flowing slurry. Apply slurry coat over the surface needed by a masonary brush or roller. In case two coats are specified, the second coat shall start after the first coat at least 20 min or it is completely dried. For overcoating, allow the second coat to harden for at least 3 days prior to overcoating. Keep the rest of HICEM Waterproof-Sheild tight in gallon or container to avoid air exposure. Do not add extra water for dilution. 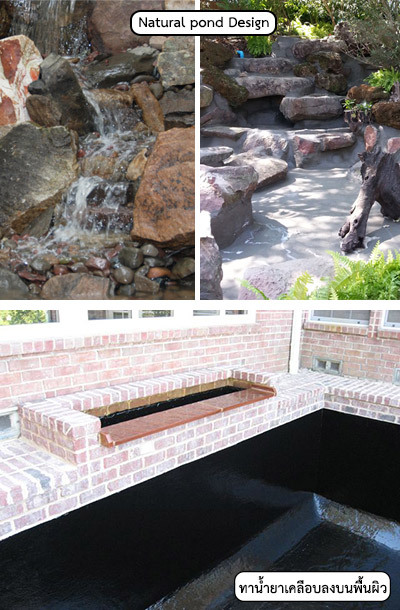 Do not expose the applied substrate to water until it is completely cured. Interior and exterior waterproofing & damp-proofing of old or new concrete, cementitious rendering, brickwork and blockwork. Exterior waterproofing of basement retainting walls in new construction & refurbishment. Sealing internal basement walls against dampness. Water tanks & Swimming pools. Concrete floor & roof slanbs, floors, balcony, bathroom floors. Waterproof bottom coating for tiles, granite, marble & other natural stones.